Kuwait has warned the United Nations Security Council of Israel's attempts to change the historical and legal status quo at Jerusalem’s holy Al-Aqsa Mosque, condemning the Israeli incursion into the besieged Gaza Strip. This came in a statement delivered by the Permanent Representative of Kuwait to the United Nations, Ambassador Mansour al-Otaibi, during the meeting on the Palestinian issue held on Monday at the United Nations permanent headquarters in New York. "The way the council deals with the Palestinian issue and the Middle East peace process has contributed to the loss of confidence in the ability of the international community to provide solutions," he said. He stressed the need to promote multilateralism and boost UN efforts to prevent a third world war. 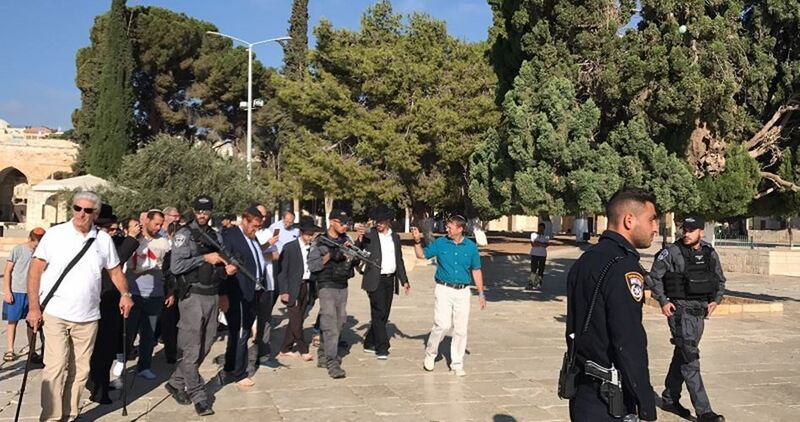 The Kuwaiti ambassador warned against the Israeli violations in East Jerusalem and the underway attempts to change the historical and legal situation at the Al-Aqsa Mosque and to divide spatially and temporarily. The Kuwaiti envoy added that the lack of action by the UN Security Council has given room to simmering Israeli violations of international law. Al-Otaibi pointed out that his country and the Bolivians demanded that a meeting be convened in response to the the serious escalation sparked by an Israeli military incursion into the blockaded Gaza Strip. He said Israel’s killing of civilians in Gaza has been escalating since March, with at least 228 people killed, including 41 children. Al-Otaibi added that the eleven-year long siege on Gaza has led to a serious breakdown in the economic and security conditions in the enclave, where half of the population lives below the poverty line and earns no more than $ 1.25 per day. 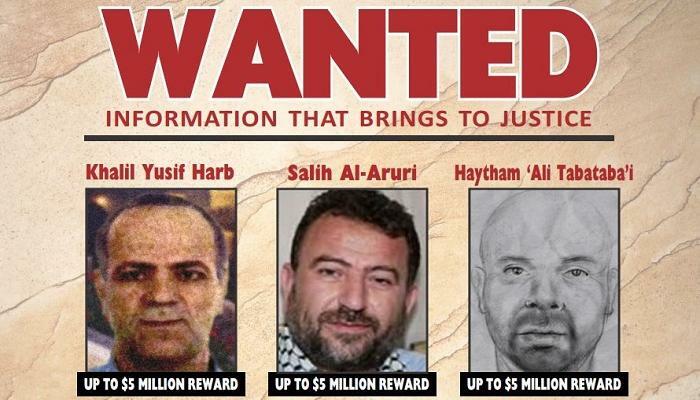 The U.S. Department of State announced on Tuesday rewards of up to $5 million each for information or identification leading to the capture of the following figures: Hamas leader Saleh al-Aruri, and Hezbollah leaders Khalil Yusif Mahmoud Harb and Haytham ‘Ali Tabataba’i. Aruri is a prominent Hamas leader and an outspoken anti-occupation figure. He is currently living in Lebanon. “Our country is not immune. 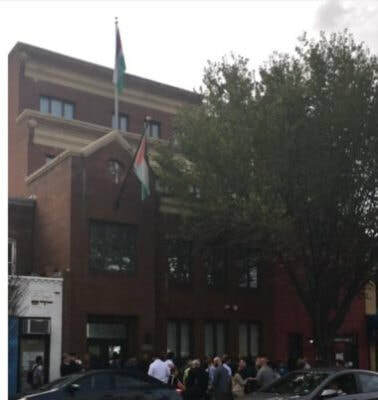 In 2011, the Qods Force allegedly was involved in a plan to assassinate the Saudi Ambassador to the United States at a restaurant in Georgetown,” Nathan Sales, ambassador-at-large and coordinator for counterterrorism told the Washington Institute for Near East Policy on Tuesday. 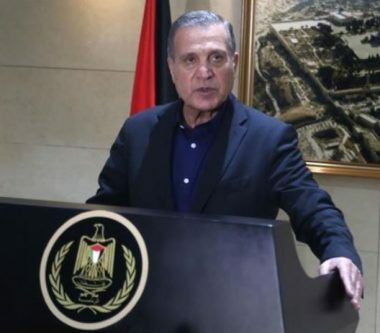 Sales said serious measures have been taken to chase down Hamas leaders, among them the group’s chief Ismail Haneyya over “terror charges”, in reference to their anti-occupation activism. Seven other Palestinian leaders figure on the US terror blacklist: Mohamed al-Dheif (the commander of the Qassam resistance brigades); Ziad al-Nakhala (Secretary of the Islamic Jihad); Yehya al-Sinwar (Hamas chief in Gaza); Fathi Hamad (senior Hamas leader); Ahmad al-Ghandour (a leader at the Qassam Brigades); Ramadan Shallah (former Secretary-General of the Islamic Jihad); and Rawhi Mushtaha (political bureau member of Hamas). The State Department on Tuesday also officially designated Nasrallah’s son, Jawad, along with the al-Mujahidin Brigades, as terrorists, subjecting them to the toughest sanctions. As of 1997, both Hamas and Hezbollah are U.S.-designated terrorist entities. The US envoy stressed that the goal of the American peace plan, or “deal of the century”, is to reach a permanent agreement between Israel and Palestine, instead of temporary agreements. 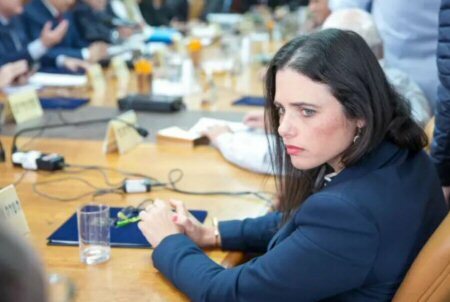 PNN further reports that, two weeks ago, an official from the Israeli Ministry of Foreign Affairs said that France will submit a peace plan if the US doesn’t submit its own, after midterm elections. 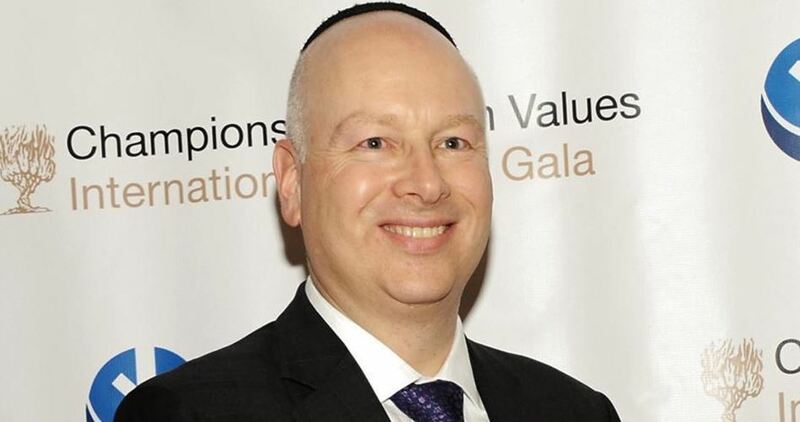 Jason Greenblatt, the US Special Representative for International Negotiations, met on Sunday evening with Israel’s prime minister Benjamin Netanyahu. “Honored to meet with prime minister Netanyahu this evening. Discussed important topics including the situation in Gaza and regional developments,” tweeted Greenblatt after the meeting. Greenblatt also prayed at the Western Wall in occupied Jerusalem with US Ambassador to Israel David Friedman. Last week it was announced that Greenblatt would travel to Israel this week to meet with senior Israeli officials and lay the groundwork for the Trump administration’s rollout of the framework for a Middle East final status agreement, dubbed the “Deal of the Century”. The Palestinian Authority (PA) has rejected US attempts to restart peace talks with Israel and has been boycotting the US ever since Trump’s recognition of Jerusalem as Israel’s capital last December. The Secretary of Palestine Liberation Organization (PLO), Dr. Saeb Erekat, stated that U.S. President Donald Trump, and Israeli Prime Minister Benjamin Netanyahu, are ongoing with their politics to destroy the two-state solution, and replace it with their own facts on the ground, in violation of International Law. His statement came during meetings with Deputy Diplomatic Counselor at the French Presidency Aurélien Lechevallier, in addition to the French Consul-General in Jerusalem Pierre Cochard, and the Swiss Representative in Palestine. 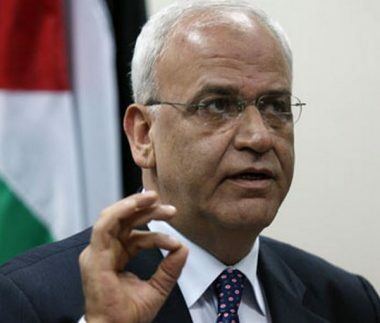 Erekat stated that all the international efforts to achieve peace, and get the political process started, will not be effective in resolving the situation, and added that peace cannot be achieved by the ongoing theft of Palestinian lands, and denying basic rights of the Palestinian people. He thanked France and Switzerland for their positions, rejecting Trump’s hostile stances and policies against the Palestinian refugees and the UNRWA, and the closure of the Palestinian Representative office in DC. Erekat also thanked them for their countries’ positions in support of the two-state solution. The official also called on Switzerland, as the country that hosted the Geneva Accords of 1948, to save the Fourth Geneva convention of 1949, especially the call for protecting the civilians in time of war. As for the internal Palestinian issues, especially reconciliation talks, Erekat said that all parties must fully implement the Cairo Agreement of October 2, 2017, which was sponsored by Egypt. 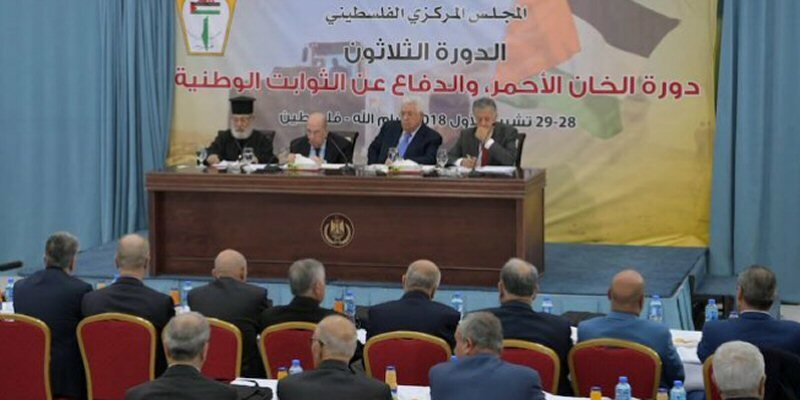 The Palestinian Central Council (PCC), which met in Ramallah over two days, decided on Monday to end all commitments in the agreements the Palestine Liberation Organization (PLO) has signed with Israel, suspend recognition of Israel until it recognizes the State of Palestine, end security coordination and end the Paris Economic Protocols. “In view of Israel’s continued denial of the signed agreements, the PCC, in confirmation of its previous decision and considering that the transitional phase no longer exists, decides to end the commitments of the PLO and the Palestinian Authority towards its agreements with the occupying Power, suspend recognition of the State of Israel until its recognition of the State of Palestine on the June 4, 1967 borders with East Jerusalem as its capital, end security coordination in all its forms, and disengage economically from Israel on the grounds that the transitional phase, including the Paris Economic Protocols no longer exist,” it said in its final communiqué. The PCC also gave the power to President Mahmoud Abbas, who chaired the PCC meetings, and the PLO’s executive committee to implement these decisions. It also held Hamas responsible for failing to implement the agreements it had signed with Fateh over the years. It said calm with Israel is the responsibility of the PLO as the sole legitimate representative of the Palestinian people and not the duty of the factions. The US President Donald Trump’s peace plan will strongly reflect Washington's commitment to Israel's security, the US Midlle East Envoy Jason Greenblatt has said. "But we also want to be fair to the Palestinians. We have tried hard to find a good balance," he claimed. "Each side will find things in this plan that they don't like." He said that it would not propose a Palestinian-Jordanian confederation as a possible solution to the conflict.